a. 100% natural wood material that comes from Daxinganling forest region. b. Size can be made 75*16-11*1.35mm, 94/114*17-11*2mm, also accept customization. c. Round edge and flat edge for choice. Round adge is suitable for machine, Flat edge is suitable for manual use. d. Well Polished,Odorless,Taste-free,Sterile,Not easy to break. e. The wooden stick passed FSC certificate and have FDA testing report. d .Professional sales team help to send you best service. 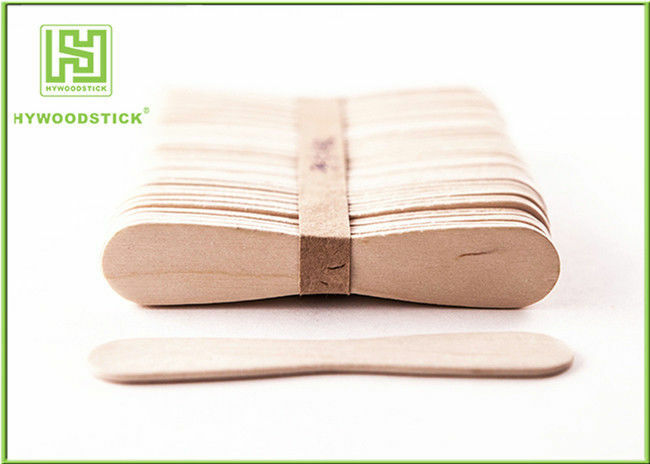 The wooden stick can be widely used for ice cream, lollipop, DIY craft, etc. Packing: Bundle packing, paper wrapped.